Virginia State Police is working a crash that has caused northbound lanes of Route 17 on the Coleman Bridge to close Thursday. 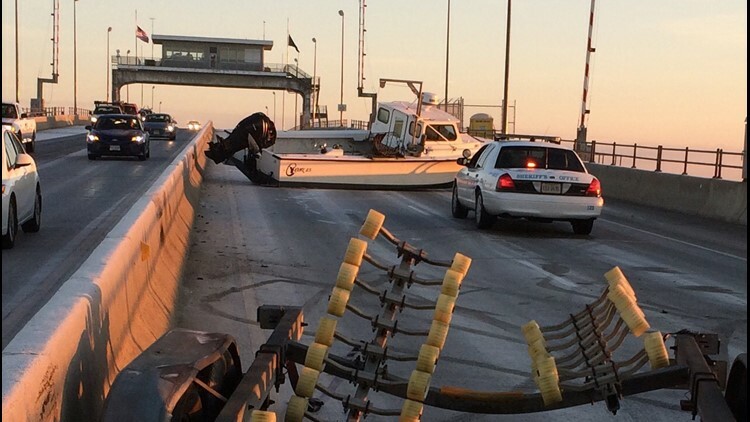 YORKTOWN, Va. (WVEC) — Virginia State Police is working a crash that has caused northbound lanes of Route 17 on the Coleman Bridge to close Thursday. The crash occurred around 6:13 a.m. when a Chevrolet pickup truck pulling a loaded boat trailer jack-knifed crossing the bridge. 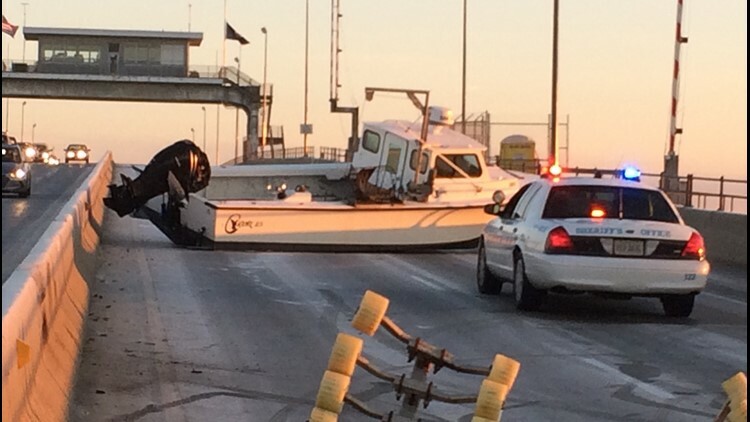 The boat was thrown from the trailer blocking all northbound lanes, PIO Sgt. Michelle Anaya said.